The residents of Coolcat area in Minna, Niger state staged a protest, calling on the officials of Abuja Electricity Distribution Company (AEDC) to restore power in the area. Speaking to Nigerwatch Newspaper, the leader of the protest Abubakar Sadiq said “all we want is light, we’ve not seen light for seven months now our transformer had issues and we were told to contribute money for a new transformer and connection, Every house was asked to pay the sum of 2000 for the new transformer. The contribution was made and the new transformer was installed, but there is still no light after seven months”. When asked what could be the reason for the lack of electricity? he said “they want us to still give them bribe money to come and connect it for us. Which is so unfair because most of our businesses are been put on hold due to lack of electricity. We contributed and came up with the sum of N450,000 still we don’t have light”. 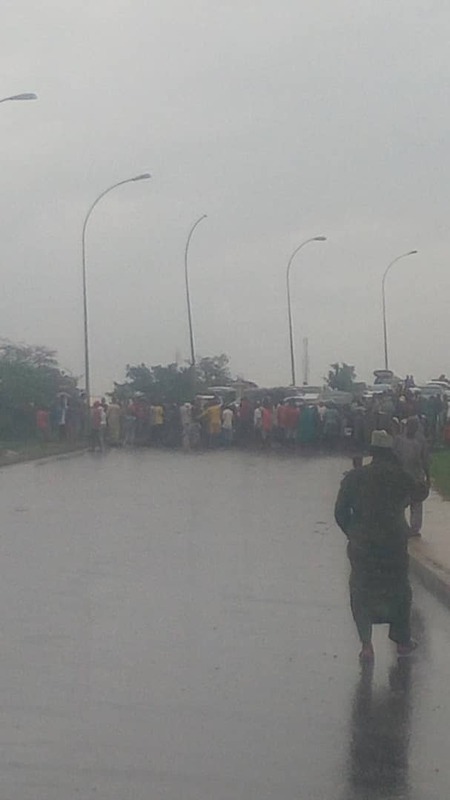 The protesters blocked the main road causing a road block for commuters plying the road.